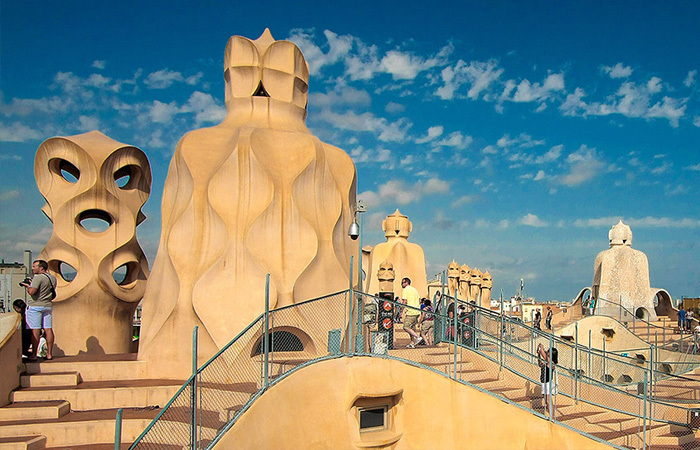 The most comprehensive Barcelona tour with the entrance in two of Gaudí masterpieces. 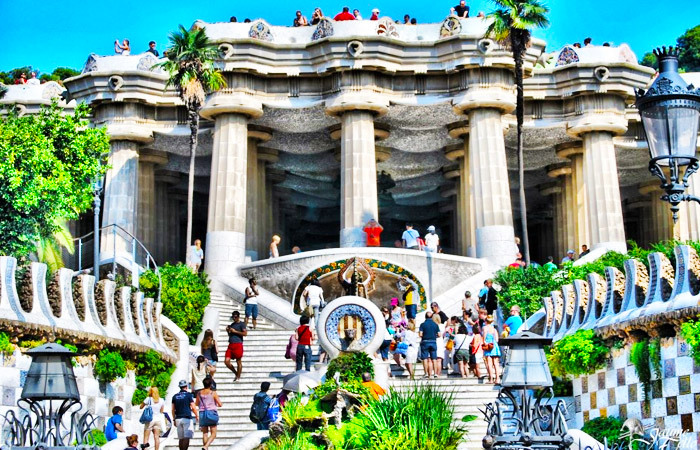 If you have a full day in Barcelona, this is the most comprehensive Barcelona tour combined with the entrance in two of the marvelous places designed by Antoni Gaudí, LA SAGRADA FAMILIA and PARK GÜELL. We offer the opportunity to skip the line in both attractions, in order to save your time and provide a more rewarding stay in Barcelona. No matter from where you arrive in Barcelona, we will pick you up at your cruise ship or at the airport in a private transport to take the tour that you would expect in order to optimize your time and take advantage of the needs you have. Don’t worry about your luggage, the lines at the places you want to visit or the tourist crowds. And, of course, be sure you will be back at the place you need to be in time: at your cruise ship, at the airport or at your hotel. Our tour starts in Plaça Catalunya, the main center of the town, which is connected to the street with the most distinctive Catalan architecture, PASSEIG DE GRÀCIA. Here we find the most striking facades of private modernist buildings, among which stands out La Pedrera by Antoni Gaudí. In addition, in the called ‘apple of discord’, we will discover other wonderful examples of modernist houses like Gaudí’s Casa Batlló, Casa Lleó - Morera or Casa Ametller. 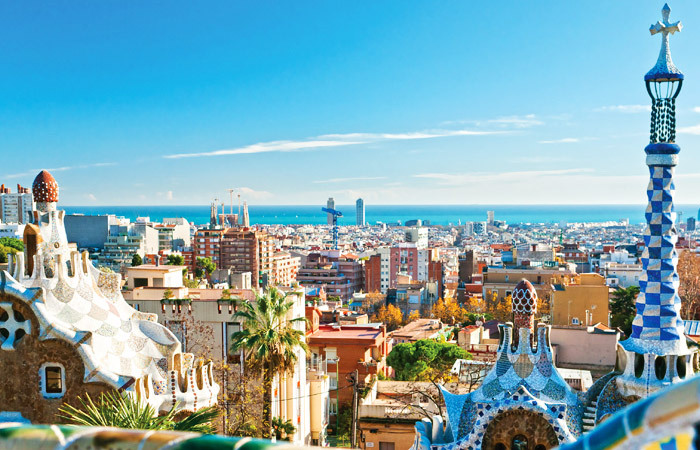 We immediately head to the historic Gràcia district until the amazing PARK GÜELL. Located on a hill with spectacular views of Barcelona, on these gardens Gaudí mixed his original sense of architecture with the forms of the nature: the result is a place of fantasy of which is impossible not to marvel. Our specialized guide will lead you through the most strangely beautiful corners of the park providing interesting facts and stories to understand the work of Gaudí. We will follow the footsteps of the architect by entering to the EIXAMPLE. 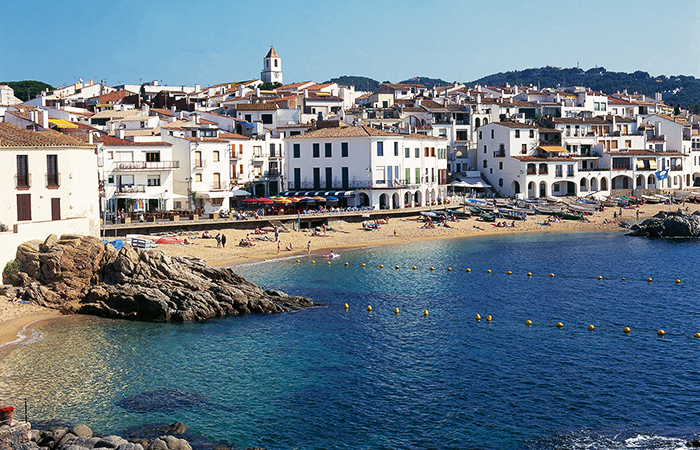 This district was projected by Ildefons Cerdà as an extension of the old town, for the orderly growth of the city. 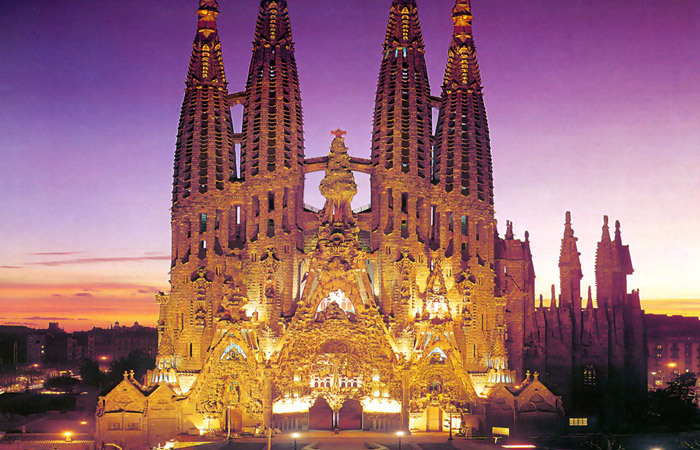 We will drive by their regular streets to reach Gaudí’s masterpiece,LA SAGRADA FAMILIA. 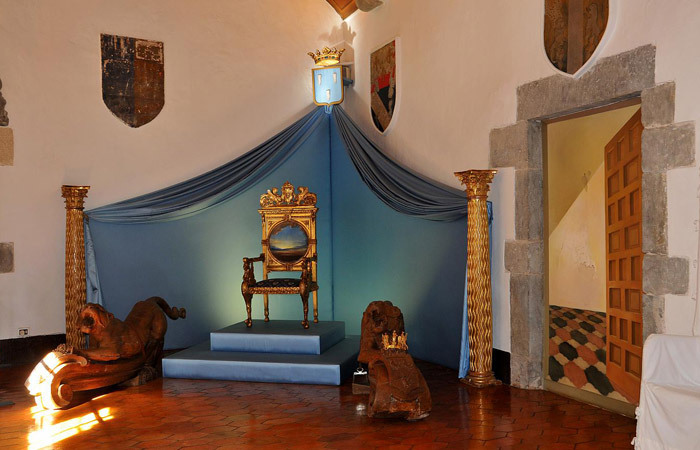 In a guided visit you will be able to understand the different parts of the building and its symbolism. You will be in shock by the bizarre forms of its columns, roofs and walls, resulting by the organic sense of Gaudí’s architecture. We will continue towards the Mediterranean sea, passing by the Plaza de Toros Monumental and through the contemporary Agbar Tower, the newest reference point for Barcelona skyline. We will reach Bogatell beach from where we will cross the WATERFRONT: through Port Vell (Old Port), the Gothic Drassanes and Columbus Monument -near the iconic La Rambla- to end at the brand new World Trade Center. From the coastline we will climb the MONTJUÏC MOUNTAIN. There it is the Mirador de l'Alcalde, a terrace from where you can enjoy the most spectacular panoramic views over Barcelona’s skyline. 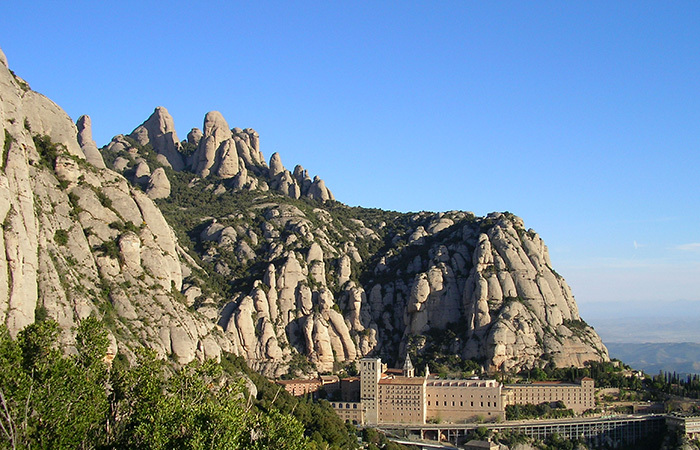 On the same mountain are located the facilities related to the ‘92 Olympics or urbanism and architecture designed for the International Exhibition of 1929, such as Plaça Espanya- influenced by St. Peter's Square in the Vatican – or The National Palace. From the heights we will head to the center of OLD TOWN. Finish the day in a relaxed walking tour with our professional guide through the charming corners of the Gothic Quarter, discovering the imprints of the Roman and medieval city. 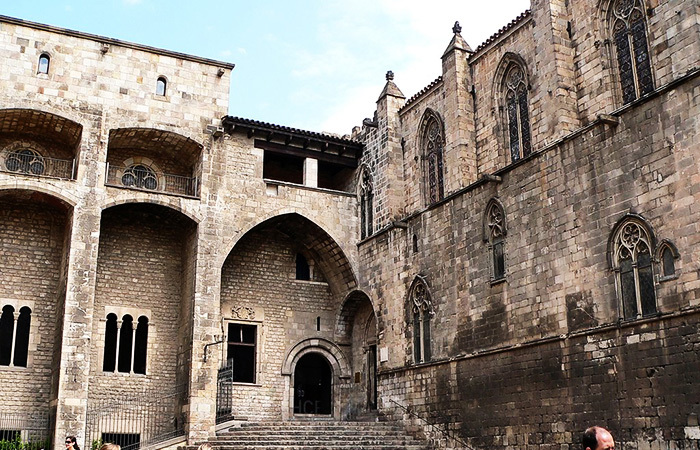 We will stop at the Cathedral Avenue to admire the magnificent temple’s Gothic façade and we will travel back in time to the origins of Barcelona in Plaça Sant Jaume, where today the City Hall is located. 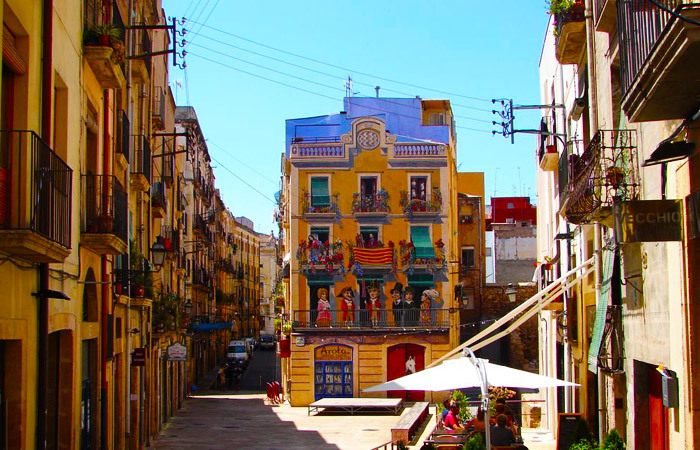 The most wealthy and luxurious Barcelona street also houses our most distinctive architecture, the Catalan modernism. 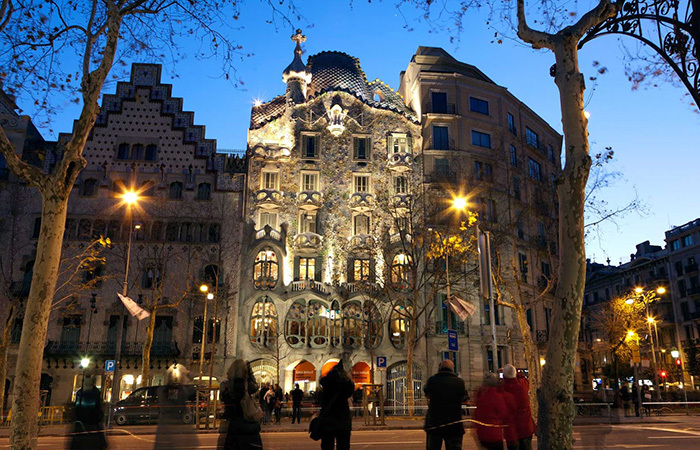 Marvel at the surprising facades of Gaudi’s houses(Casa Batlló and Milà, also known as la Pedrera) and discover the ‘apple of discord’ – the word ‘manzana’ (apple) means also in Spanish "block of houses”. 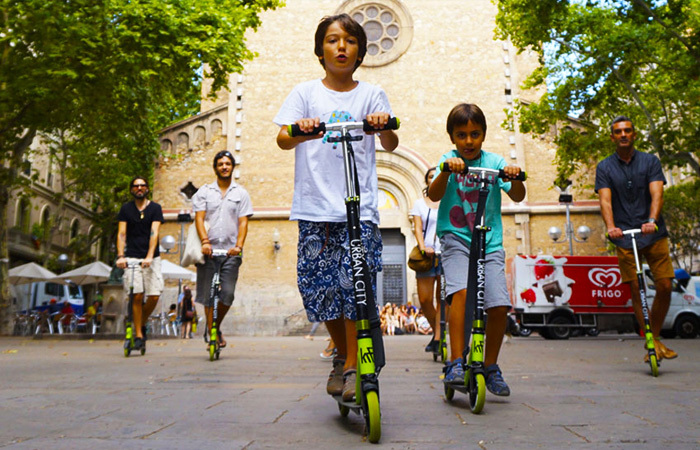 Gràcia is probably the most popular and lively neighborhood of Barcelona. 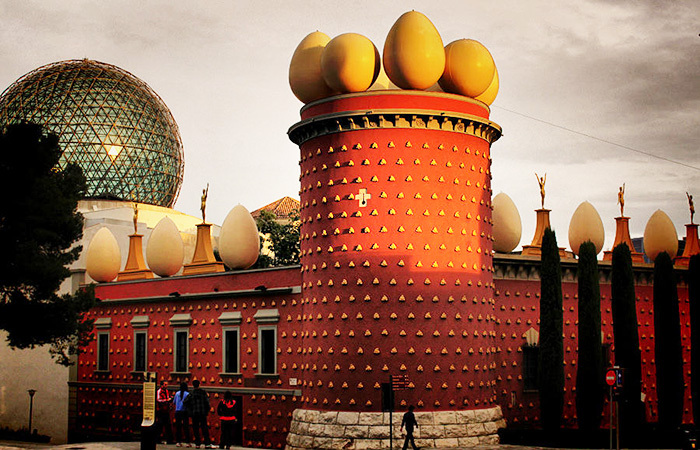 On its top, is located the Park Güell. 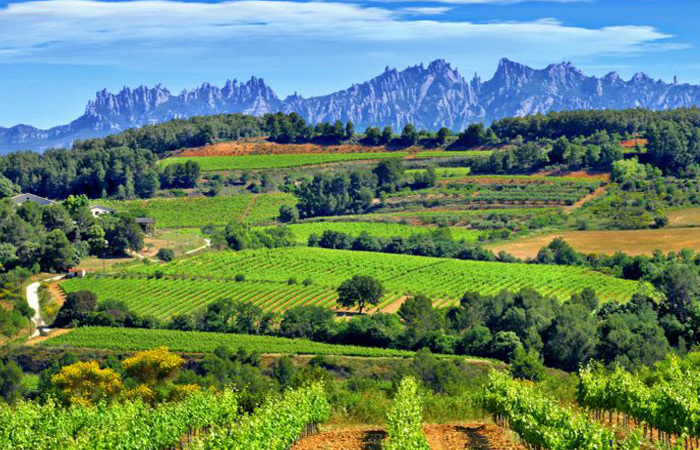 Antoni Gaudí was inspired by the organic forms of nature, making these gardens the perfect place to get lost and dream: find undulating forms, like rivers of lava, and covered alleys with columns that are shaped like trees, stalactites and geometric shapes. 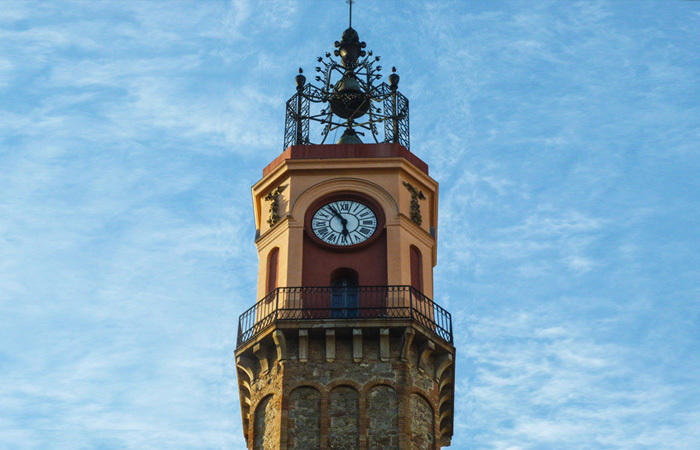 Projected by Ildefons Cerdà, its plan was approved by the authorities in 1859 in order to expand the city. His idea of urbanism was revolutionary and utopian, and we can see it in the regular streets and the form of its ‘apples’. Simply the emblem of Barcelona, there’s no words to describe the feelings inside the temple of Modernism. The organic forms of its structure, the light that enters by its stained glasses and the symbolism of the sculptures that houses, will provide your most shocking experience in the city. Barcelona's coast has adapted to the sign of the times and needs. Today lives together the very latest architecture, represented in the World Trade Center or the converted Old Port - full of shops, restaurants and nightclubs -, and the charming imprint of the past: from the Columbus Monument to the beautiful Gothic building of the Drassanes (originally intended to build galleys). 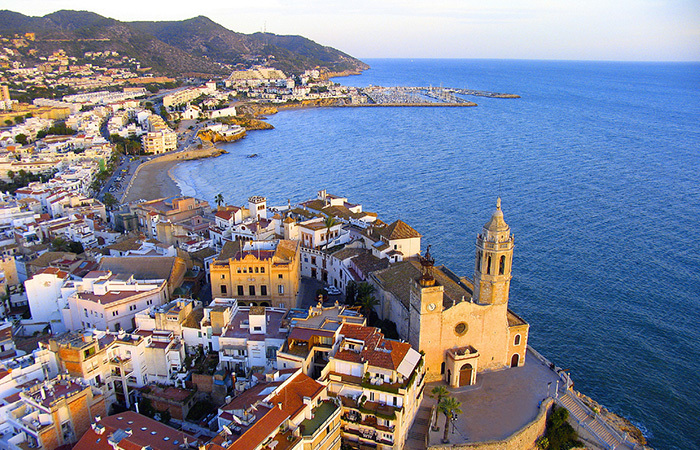 Originally a strategic place to defend the city, it rises beside the sea. From its summit the varied Barcelona skyline is visible. It also houses reference buildings of modern and contemporary architecture, such as the sport facilities belonging to the Olympic Ringor museums such as Miró Foundation or Caixa Forum. We also find examples of urbanism and architecture raised for the International Exhibition of 1929. 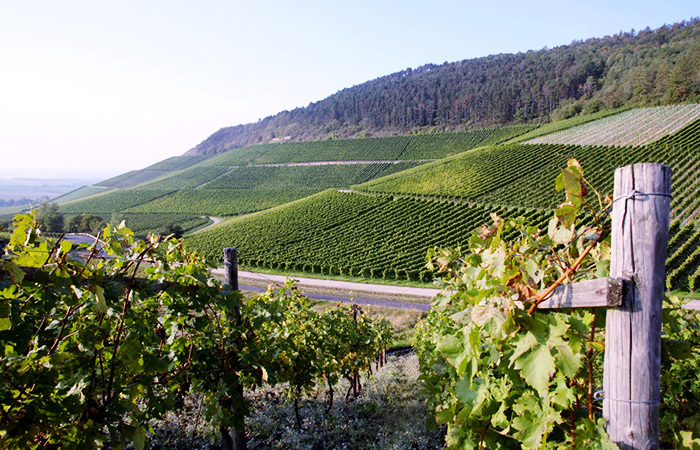 Where it all begins. 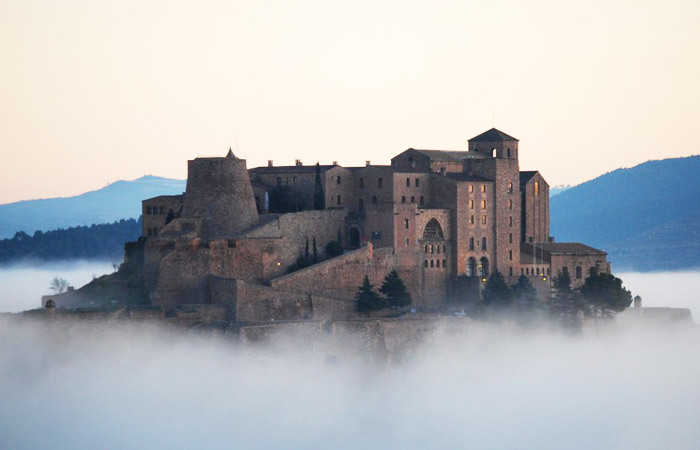 The roman and medieval imprints mixes with modernity in the center of the town. 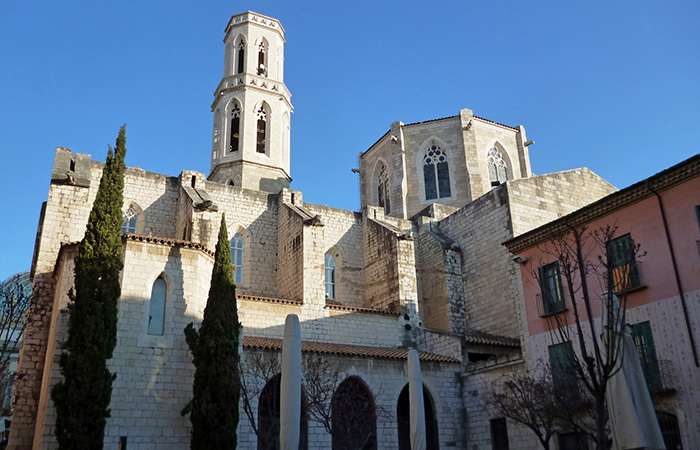 You will learn about the origins of the city and some of the Catalan traditions and its culture while you enjoy of the Gothic Quarter’s charming corners, including Plaça Sant Jaume andthe Cathedral.